Hot Dog Roller Rack | Patio and Hearth Co. 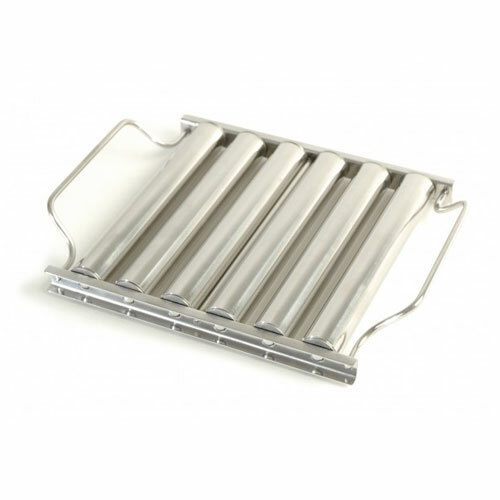 The stainless steel hot dog roller grills up to five hot dogs at a time. The rollers keep the dogs off the grill grate to prevent scorching. Inquire about Hot Dog Roller Rack using the form below.